Economic times are difficult at the moment and the thought of having a $700.00 bill for dental work may be more than your wallet can handle all in one shot. If your credit card is just about maxed out and your income stream is limited, your greyhound’s mouth may not be your top priority. 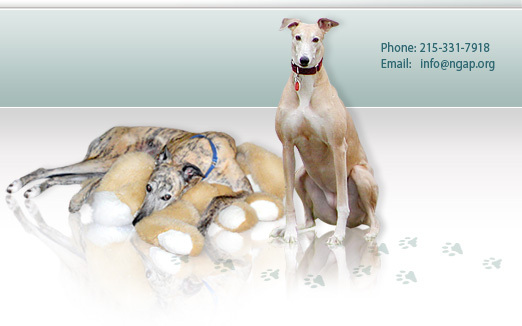 Such was the case of a 12-year-old greyhound we evaluated one Greyhound Sunday. 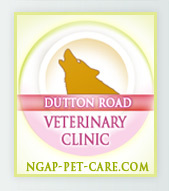 The owners said that they would have difficulty paying for any extensive dental work, and at that point, although the exact amount of work we would have to do was unknown, we knew it would be significant. 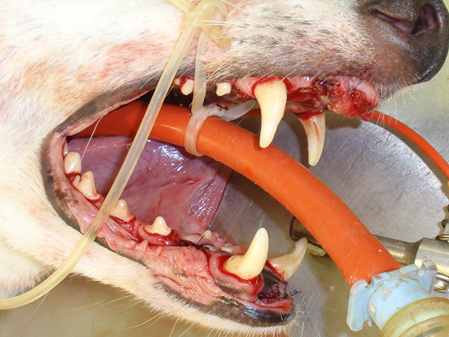 Looking at this greyhound’s mouth before surgery, the front of the mouth shows incisors that are nasty-looking at best, as well as molars with significant buildup. Please note the large ulceration hole, and I mean HOLE, above the molar, caused by the significant build-up. This next photo shows a molar that has been cleaned. 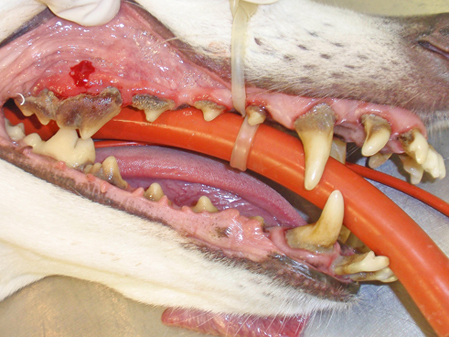 Not only can you see the root exposure, but also bone loss of the jaw which could eventually lead to a fracture. The adjoining molar also shows significant bone loss. The next photo shows fewer teeth and a lot of healing to be done. Although the adopters may not have known it, their dog was in significant discomfort and in need of immediate attention. 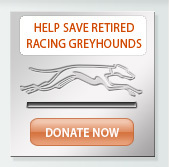 We will be adding photos of this greyhound once the healing process is complete. Keep in mind that daily brushing can greatly impact your greyhound’s dental health, which in turn will save your wallet.